Photos from Club Championships etc. Fins - Boards - Paddles etc. Meet entries - PB's etc. Terms and Conditions - Box Hill SC, Box Hill Swim Team, Swim Kids, Swim Academy, Swim Active and Swim Babies. Box Hill SC, Box Hill Swim Team, Swim Kids, Swim Academy, Swim Active and Swim Babies take the utmost care with each swimmer/parent and any other person(s) wishing to spectate. Care and attention is required within the pool and surrounding areas as any body of water has obvious inherent risks including, and not limited to, drowning. Neither Box Hill SC, Box Hill Swim Team, Swim Kids, Swim Academy, Swim Active and Swim Babies, its employees or instructors accept any responsibility for any death, injury or loss suffered nor damage to any part of the swimming pool or centre, car park or any adjoining lands, buildings or boundaries caused by you, your child, or those in whose care you have placed your child, whether attending or observing any of our sessions. Whilst we give our up most service to all our swimmers and work hard to give every swimmer our fullest attention, progression is not linear and not guaranteed. Box Hill SC does not accept liability for the loss of or damage to any personal effects brought by a swimmer to any session. You are therefore requested to ensure that no valuable items are brought to swimming lessons. Please note that we require a term’s written notice should you wish to discontinue taking lessons with us. Lessons lost due to extreme weather conditions resulting in road or facility closure are not transferable. Outdoor shoes must be removed at all venues. No food to be consumed on poolside or changing rooms. Box Hill swim hats (only) to be worn by all swimmers at all times. Children are not permitted to change on poolside before or after lessons. Club correspondence is done electronically through email and the club website. It is therefore imperative that you carefully read any emails you get from me and pass this information on to your child or children. A weekly update (Club News) is published each Sunday to let you know what is happening within the Box Hill Swim Team. Please ensure you read my weekly Club News update which is published each Sunday and is available on the Club website. You should also receive the same News in an email each Sunday. This information should be read, and any relevant information passed on to the swimmer(s). Holiday training - (TICK-OVER) is reduced to 2 sessions weekly. Times/Venues may vary – Always check the Planner. Before leaving home, you should always check the Planner page as session times are sometimes subject to change. Competition – All Box Hill Swimmers are actively encouraged to enter competitions when they become available. Training Fees - Training fees are payable at the start of every calendar month by Standing Order. Payment must be received by our bank at the start of each month that you remain a member. There is not an option for stopping or reducing payments during holiday periods or absence due to injury or illness. Written notice period of one calendar monthis required if resigning. Missed sessions or sessions lost due to unforeseen circumstances such as weather, road or facility closure are not transferable. A maximum 3 months training fees will be refunded in the event of overpayments from the date (plus one month) of resigning. 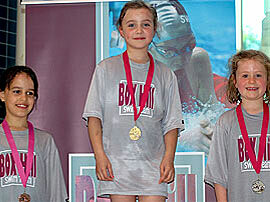 All swimmers are reminded that Box Hill Club Kit should be worn at all times when attending any competition. This means from the moment you arrive to the moment you leave the building. Box Hill Club Kit such as Kit bags, pool side tops, hoodies etc. can be purchased via the CLUB KIT link at the bottom of this email. All Box Hill Swim Team members should have a poolside top or hoody. It is advised that you have your name on all pieces of kit. Tip: when ordering - Hoodies come up large and Poolside tops come up small. Training Kit such as flippers, Goggles, net bags etc. can be purchased from the ProSwimwear link at the bottom of this email. If you need advice, please call me on the number below. See attachment regarding training equipment. We do not have a facility for lost property. If a swimmer leaves an article poolside or in the changing room it is their responsibility. Under no circumstances are parents to contact the respective school as this really annoys them. If the Coach poolside finds an article with a name clearly marked, it is their prerogative if they wish to hang on to it until they next see the swimmer. At the end of each training session, swimmers should ask themselves, do I have all my equipment? Once a swimmer reaches Alpha Squad we request that they get themselves changed both prior to and after training. Parents should only enter the changing area as a very last resort. Parents must spectate from upstairs ay all venues unless instructed otherwise. Swimmers may attend designated sessions on a flexible basis. You do not need to nominate sessions. Part sessions are not permitted. Swimmers must be poolside a full 10 minutes prior to session start time. This time should be spent stretching and preparing for the warm up. Swimmers should ensure they shower and use the toilet prior to all training sessions. Toilet breaks are not usually permitted except for sessions lasting longer than 1 hour in duration. Swimmers must have correct training equipment (clearly marked with their name) plus a drink in a suitable plastic container. Box Hill swim hats to be worn by all swimmers at all training sessions. Wearing of watches or jewellery is banned. Parents are kindly requested not to come poolside or distract their children during training sessions. During the time your child swimmer is training, please spectate from the gallery, take a seat outside in the sunshine/rain/snow or nip home. Please do not walk the dog, play ball games or use the school grounds for any other activity. This applies to all school venues used by Box Hill Swim Team. Box Hill Swim Team are proud to support The Shooting Star Chase Children's Hospice. Box Hill Swimming Club - Box Hill Swim Team or Box Hill Swim Academy cannot be held responsible for loss or damage to personal property while on any premises. Please note that we require a term's written notice should you wish to discontinue taking lessons or one months written notice if you wish to discontinue training. Missed lessons and training sessions are non-refundable. Lessons and training sessions lost due to extreme weather conditions resulting in road or facility closure are not transferable or refundable. Lessons and training sessions lost due to pool closure for emergency repair are not transferable or refundable.